Located deep within the Himalayan Mountains, at depths of a mile or more below the surface of the Earth, this salt was dried up by the energy of the sun, and compressed over millions of years by the pressure of the land masses that formed on top of it. This precious salt is chipped out by hand and brought to the surface and crafted by hand. We are privileged to be working in the spa industry offering a very unique Himalayan massage stone to be utilized in the treatment room and plenty of spa related items perfect for your guests' home care. Himalayan Crystal Salt has been subjected to enormous pressure over millions of years, turning it into crystals with the most perfect geometric structure found. These crystals contain particles of essential life elements that are small enough to penetrate human cells and be metabolized. 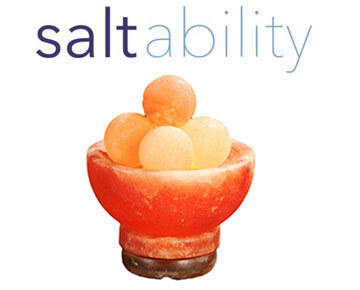 Research performed on Himalayan Crystal Salt shows that the balanced crystalline structure reveals the crystal is connected to the 84 inherent mineral elements in a harmonious state. A great percentage of sea salt today is processed. With the ocean becoming increasingly polluted, this salt is far from ideal. Fortunately, Himalayan salt is pure from modern environmental toxins.